Fire is the most costly public safety problem in the United States today, as it has been for the past several decades. Only casualties due to traffic accidents exceed the losses in human lives and injuries due to fire. Fire-caused property losses are far in excess of those caused by all classes of crime or natural disaster. The art of determining the cause of a fire and of capturing the person(s) responsible is complicated by the fact that the crime of arson may actually encompass several crimes (murder, assault, criminal mischief, fraud, extortion, etc.). Thus, we expect the investigator not only to determine whether a crime was committed, but also to discern what crime the offender actually intended. 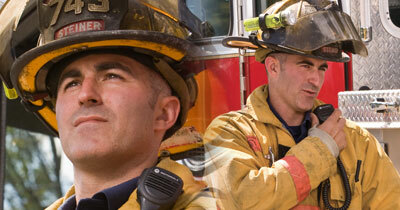 The jobs of the fire/arson investigator are many. A sound knowledge of such areas as building construction, chemistry, physics, electricity, the law and motives are necessary. Also, the investigator must be adept at interviewing, interrogation, surveillance, evidence handling and courtroom testimony, as well as many other skills required of the criminal investigator. Unlike most crimes where the criminal act is obvious, a careful investigation of the fire scene must take place before the cause is determined to be incendiary. The investigator must not only determine what caused the fire, but also rule out all other possible ignition factors. After the scene work is completed, the search for the suspect begins. As in other criminal investigations, the question of motive and means must be answered, since fire destroys evidence. The need to “place the match in the suspect’s hand” makes the crime of arson the most difficult criminal act to solve. The Boardman Metropolitan Bank fire provides an example of all of these elements coming into play. The bank’s basement lounge was the room of origin. After study of the burn patterns created by the fire, it was determined that a couch was the origin of the fire. A remnant of a cigarette lighter was found under the couch. The bank employees were interviewed, and all stated that the lighter was not in the area of the couch prior to the fire. Then a time line of the events of the day was created. This enabled the investigator to identify the suspect. After two extensive interviews with the suspect, a confession was obtained. The suspect, who was a juvenile, located a lighter in the basement and ignited the couch. He caused $70,000 worth of damage. The investigators and prosecutor determined this act to be motivated by a curiosity of fire and not maliciousness. The suspect satisfactorily completed our Juvenile Firesetter Program and appeared at the Juvenile Justice Center, where he received a six-month suspended sentence. 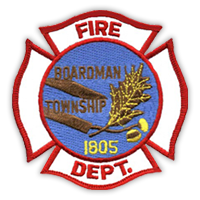 The Boardman Fire Investigation Unit is led by Lt. Jim McCreary and composed of Chief George Brown; Lt. Jim McCreary; and Firefighters Ed Shanks, Tod Terlecki, Rob John, Jessica Kollmorgen and Jeff Gallimore. Firefighter Tom Donadee leads the Juvenile Education Division of Boardman’s unit. All are members of the Metro Arson Strike Force. This is a unit with members from 11 area fire departments. We help each other when called, from a simple answer to a question to a full-scale investigation. Fire investigation in Boardman Township is not a full-time job, and investigation of most accidental fires is generally routine. When a suspected arson fire does occur, many hours are necessary to do a thorough job. This activity is in addition to all the other duties the investigators, as firefighters, have from day to day. Continuous training is also very important, because investigation techniques and the legal aspects of the job are constantly changing. We as fire/arson investigators take our job very seriously. An intentionally set fire not only destroys property, but also can hurt or kill innocent citizens and fellow firefighters that are only trying to do their jobs. If you would like additional information, please contact our office at 330-726-4199 or email firedept@twp.boardman.oh.us.